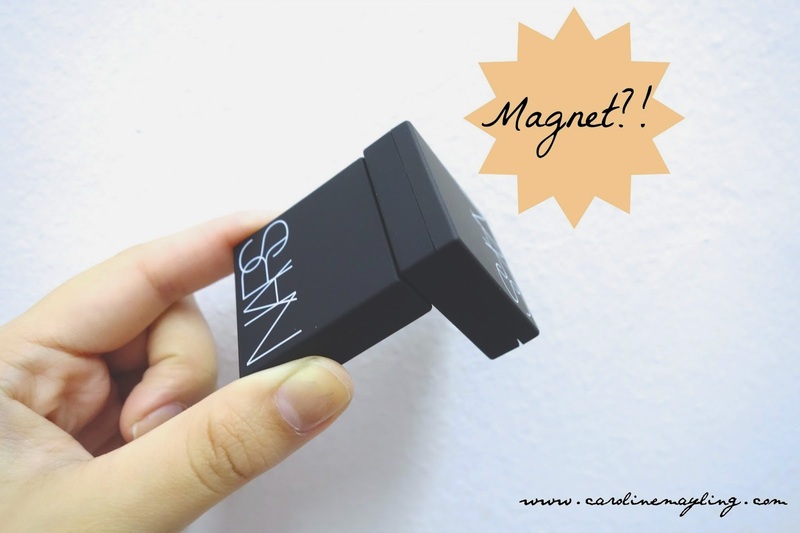 No more confession to be made as it is too obvious that am one of the huge fans of NARS. 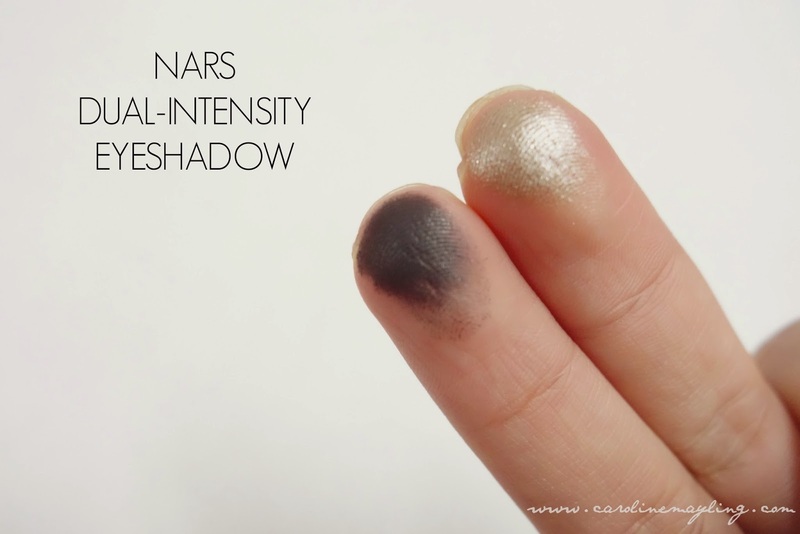 I have recently picked up items from NARS's latest collection - Dual-Intensity Eyeshadows - and so freaking in love with them! 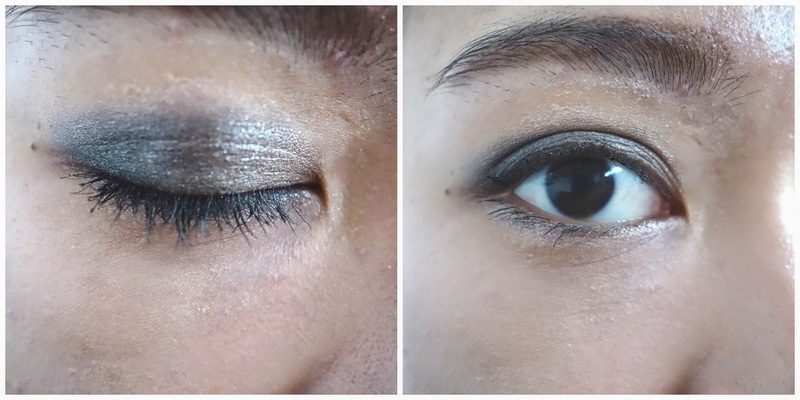 i am a sucker for good eyeshadows with great pigmentation and stay long on my eyelids. Look at the pigmentation of the dual-intensity eyeshadows picked up by just one swatch of my fingers! Opaque and lovely! I've chosen two basic colors that can work wonderfully on any occasions - Dione and Sycorax. Dione is such a beautiful metallic champagne beige color with shimmers on it. Sycorax is just a plain black color with a matte finish. I also get myself the NARS' specially designed wet/dry eyeshadow brush that also included in the dual-intensity eyeshadow collection. This brush is awesome! It has such ultra-soft bristles and allows eyeshadows glides on smoothly and easily for precise application. Double or Nothing. 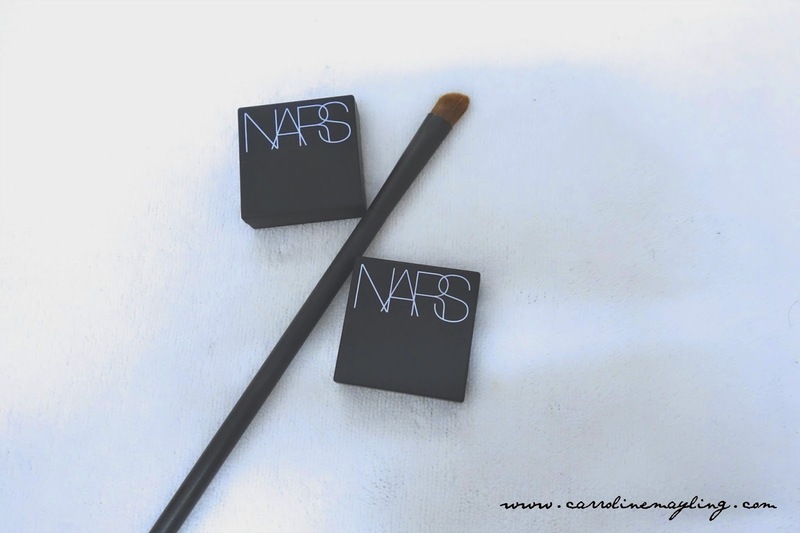 This is the amazing thing about NARS Dual-Intensity Eyeshadows - apply dry for a sheer, airbrush-like finish with a luminous sheen or apply with a dampened brush for high-impact and intense, opaque color. 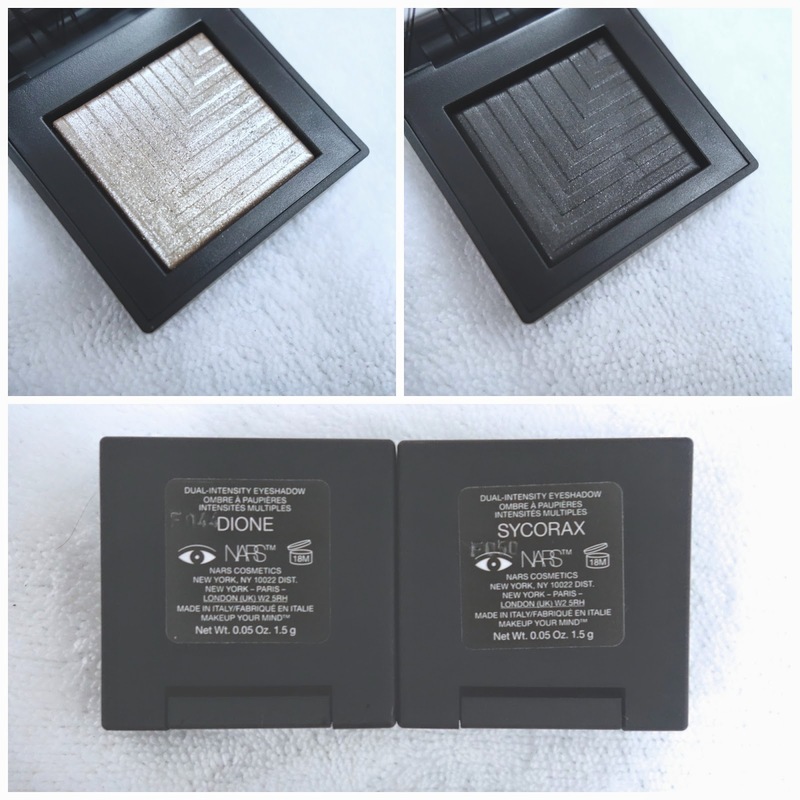 First Look: Apply Dione and Sycorax individually on my eyelids. 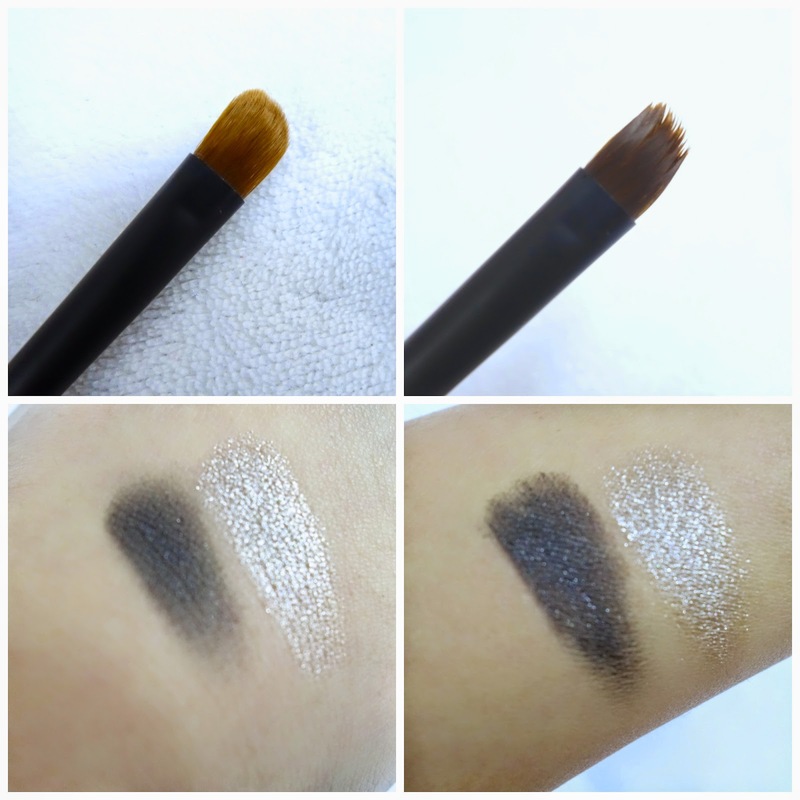 You can see the shimmer-finish and matte-finish eyeshadows does give different look on the eyes. This is also perfect when you're in a rush to go out somewhere, but still want to look good! Second Look: Blend, blend blend! Trust me, both Dione and Sycorax blend together like butter! I've applied Dione on the inner corner of my lid and Sycorax on the outer corner of my lid. It gives a mild smoky-finish on the eyes. This is perfect for those who are going for a date or attending some glamorous events! Third Look: Apply Dione on the top eyelid and Sycorax on the lower eyelid. 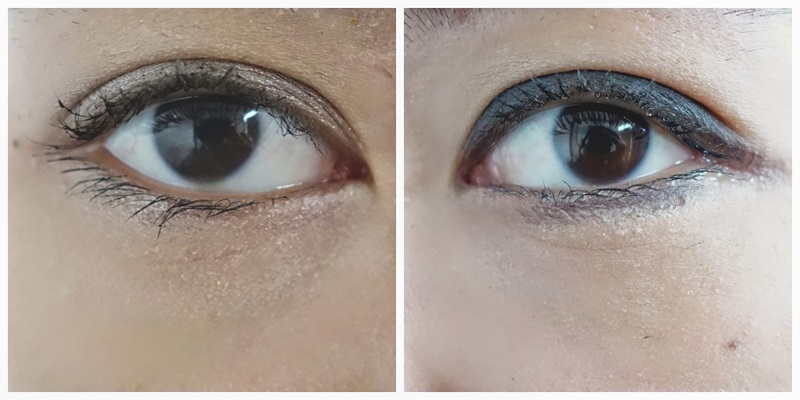 I am certainly a huge fan of this technique as it does open up my eyes and makes me look rather awake and looking great! 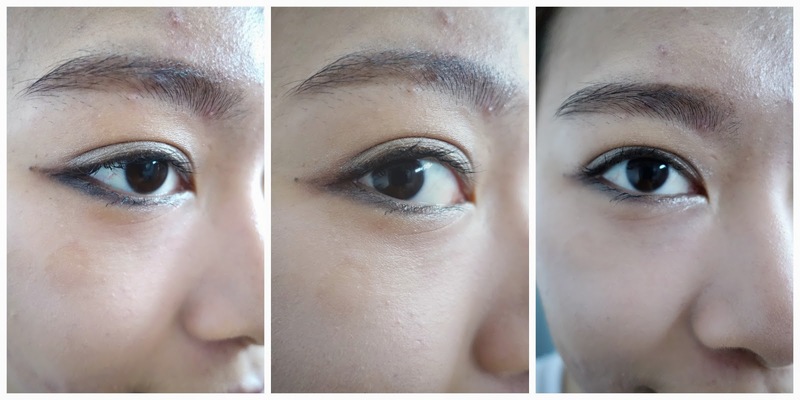 This is perfect when you have only two eyeshadows with you and still want to look gorgeous.